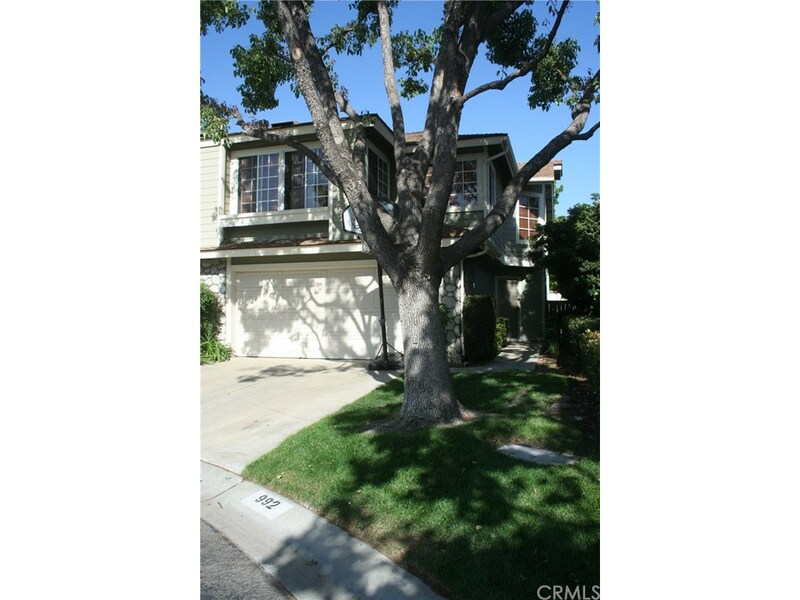 Must see townhouse in highly sought after community called the Village at San Dimas. This 3 bedroom, 3 bathroom, two story home has 1792 sq ft of living space, a two car garage, remodeled kitchen, family room, formal dining room, formal living room, downstairs guest bathroom, 2 upstairs bedrooms, and a large master bedroom and bathroom with walk in closet. The kitchen was remodeled a few years ago, but the seller is in the process of putting in a brand new dishwasher, brand new oven/range and a brand new microwave. Another huge plus is that the owner just put in new energy efficient, dual paned windows!! The backyard is good sized and low maintenance! This home is located on a cul-de-sac and this community has two pools and two spas, a playground area, a sports court for basketball and a clubhouse. This property is in the highly desirable Bonita School District as well! Located near the 57 and 210 freeways!